"It is like the Republican nominee for president at this point is being selected by erosion," he said. Jon Stewart is ready for the GOP primary race to end. The GOP candidates aren't the only ones wishing the primary race were over already. 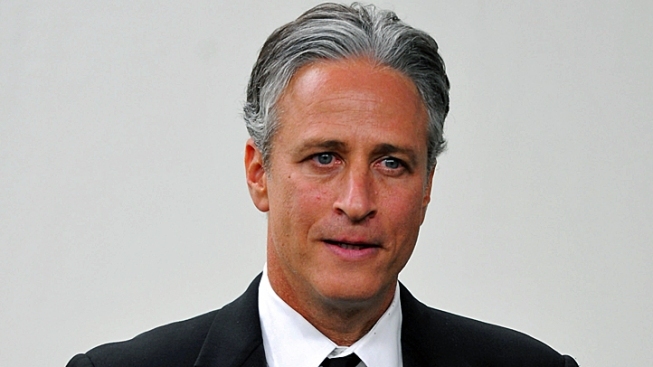 Jon Stewart is ready to kick back with his brandy snifter and his pipe — but not so fast. The Super Tuesday races, touted as the deciding factor in the still-undecided Republican primary race, didn't yield a clear-cut winner. "Tell us finally, once and for all, where Carmen Sandiego is. Seriously, it is like the Republican nominee for president at this point is being selected by erosion," the "Daily Show" host remarked Wednesday. "Super Tuesday was supposed to be decisive, the shot heard 'round the world. Now it's the shot that was mathematically inconclusive," he added — with some doctored footage of the '51 New York Giants' pennant thrown in to prove his point.